Prause Polled Hereford Farms is located 4.5 miles southwest of Yoakum, TX on Morris Community Road, watch for sign on 77-A, 2 miles south of Yoakum. 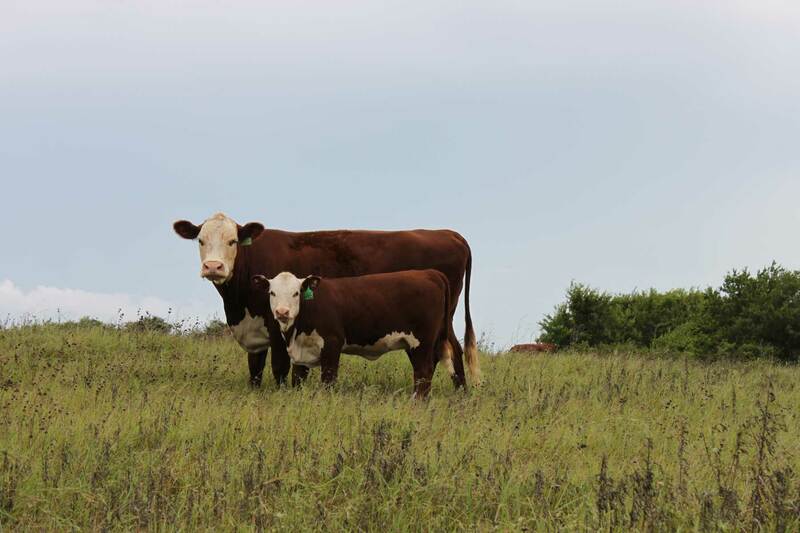 Our cow herd consists of 200 registered Polled Hereford cows, with heavy influence of Anchor genetics and other performance lines to raise growth, functional cattle. We raise Fullblood Polled Herefords, and top quality Super Baldies using JLS Brangus Bulls and Williams Brangus Bulls. Herd Bulls include Anchor 50Z, CSR 32R Neal 76-A, Mohican Xerox Z20, DRC 3238 King 6X, BBH 16T Zeus 241Z, and Anchor 49D. Call or visit any time!